Albert Masnou of Sports Es is reporting that former Arsenal forward Alexis Sanchez will be investigated by UEFA for missing a mandatory blood test for drug. 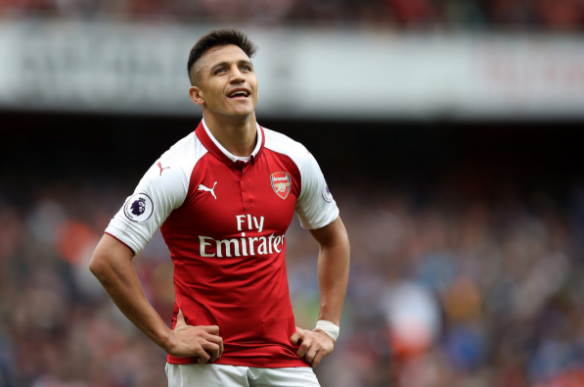 The absence and failure to provide sample happened during the period of negotiations between Arsenal and Man United, Sanchez was in Manchester while the team that was tasked to collect blood sample pitched up at Arsenal training ground in London. evading sample collection” is a violation of the rule. As Sanchez was still an Arsenal player on the supposed day of the absence, Arsenal bears the legal responsibilities for him, and may also be a witness if UEFA decides to bring an anti-doping case against Sanchez. The Chilean was on his way to Manchester at the time, as a result, Manchester United may have to answer a UEFA query. There doesn’t seem to be anything to worry about for Arsenal, Man United and Sanchez in this case, as it seems there is a compelling enough justification, Sanchez transfer saga was a well-publicized soap opera and his location at the said time can easily be explained. In 2003, Rio Ferdinand was banned for Eight Months and fined £50,000 for misconduct after he missed a mandatory drug test.